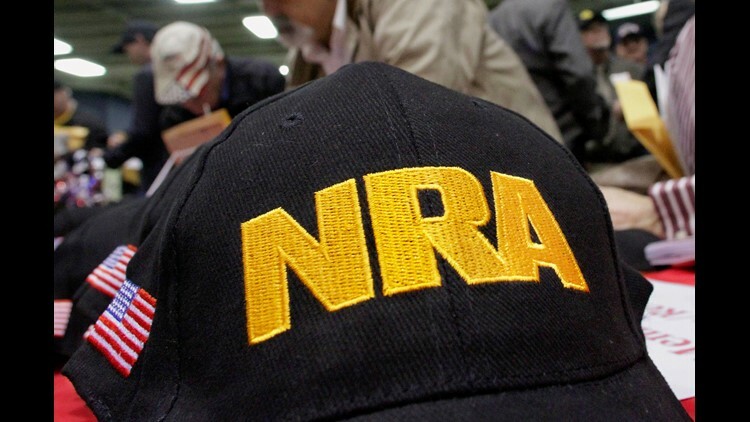 A Wednesday tweet by the National Rifle Association of America that criticizes "anti-gun doctors" has sparked backlash in light of a Wednesday night mass shooting. The tweet was published hours before a hooded gunman killed 12 people at the Borderline Bar and Grill in Thousand Oaks, California. "Someone should tell self-important anti-gun doctors to stay in their lane," the tweet read, specifically calling out the Annals of Internal Medicine. The controversial tweet linked to an article critical of medical papers that advocate for gun control. As news of the Thousand Oaks shooting broke, the Annals of Internal Medicine and many physicians defiantly responded to the NRA. Many said physicians are uniquely qualified to form opinions on gun control policies as gun violence is a public health issue. The NRA's tweet linked to an article published by NRA's Institute for Legislative Action that took particular aim at the American College of Physicians for its stance on guns. In October 2018, the Annals of Internal Medicine published an American College of Physicians position paper that called firearm violence "a public health crisis" and outlined evidence for polices it believes would "reduce the rate of firearm injuries and deaths in the United States." The NRA's article attempted to poke holes in American College of Physicians' intent and methodology, saying "the ACP is apparently only interested in pseudo-science 'evidence' that supports their preferred anti-gun policies." The @NRA tells doctors to "stay in their lane" re #GunViolence. We wish we could. Instead, we pledge to talk to our patients about gun violence whenever risk factors are present. Click the link at the top of the page and join us https://t.co/deFA2WfFh7 …. "I will prevent disease whenever I can, for prevention is preferable to cure. I will remember that I remain a member of society, with special obligations to all my fellow human beings..."
And I know you are, too. Faced with yet another mass shooting, it’s a dereliction of duty for doctors NOT to speak up about this public health issue.